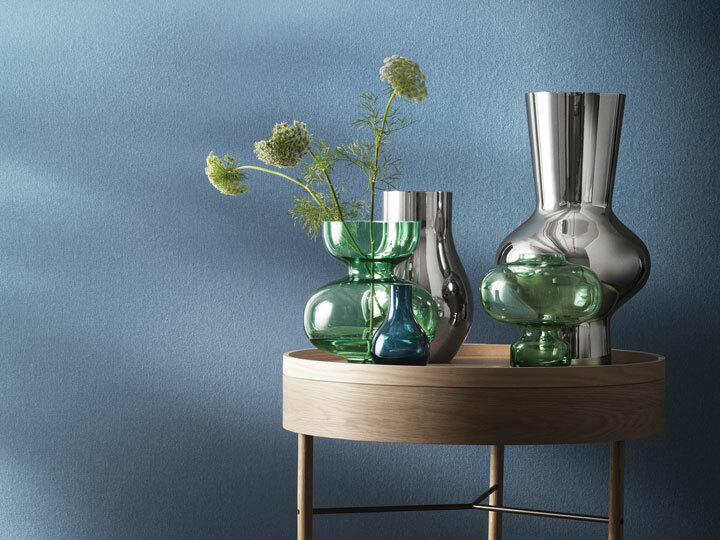 Georg Jensen's silver or glass vases are sculptural pieces of Scandinavian design that form an intrinsic part of the flower arrangement. Finely crafted, they stand as objects of beauty even when empty. BERNADOTTE, Vase medium, design inspired by Sigvard Bernadotte. BERNADOTTE, Vase Large, design inspired by Sigvard Bernadotte.